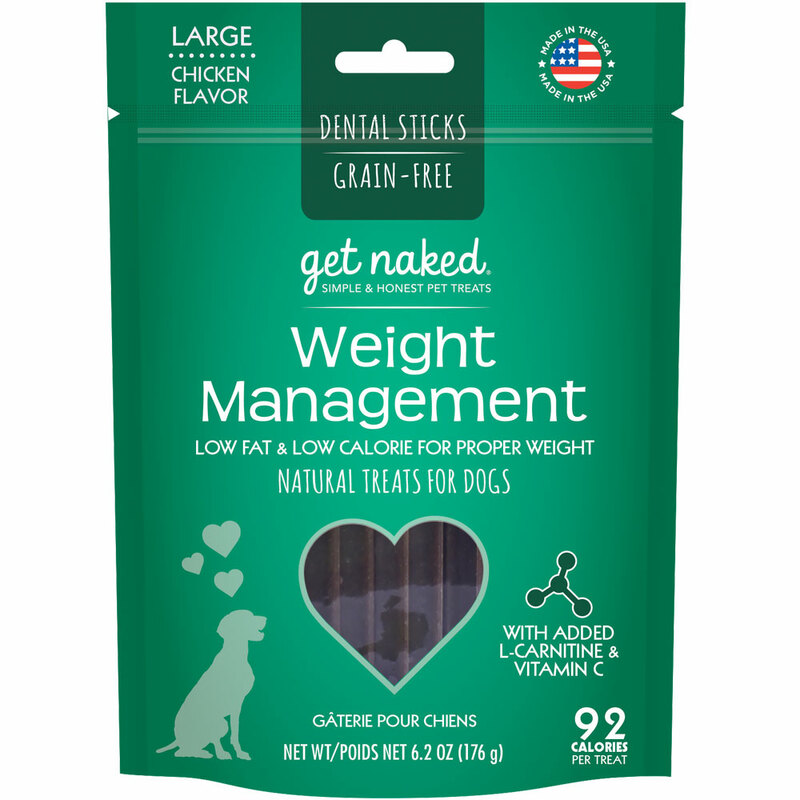 Get Naked Weight Management Treats are part of a synergestic product line that helps control proper weight. Pet owners love to treat their pets but there are few treats available for overweight, obese or diabetic dogs. Our Weight Management Treats for dogs are low in calories and contain dietary fiber that give a �full feeling�, which helps reduce overeating while L-Carnitine helps burn fat. With the combined ability to clean teeth and freshen breath, Get Naked Weight Management Treats is the perfect treat for dogs on calorie restricive diets. I am not kidding. Both of our dogs needed teeth cleaned. Have been using these dental sticks. Monday's vet visit, our pet Dr. said "they look liked they were just cleaned". Prosso far so good our large dog has pancreatitis and so far all good with one a day.